All the wonderful comfort and support of its sister leather sofa, now available in a stunning range of beautiful fabrics and hardwearing finishes. Want to make a real statement? Why not mix leather and fabric furniture to create your own unique style? Exceptionally comfortable with a high back and split lumbar support, this sofa range exudes sophisticated style. The uniquely shaped wooden feet are available in teak, mahogany, ash or cherry finish. Stylish Sofa range available in Soft Fabric Cover and Leather. 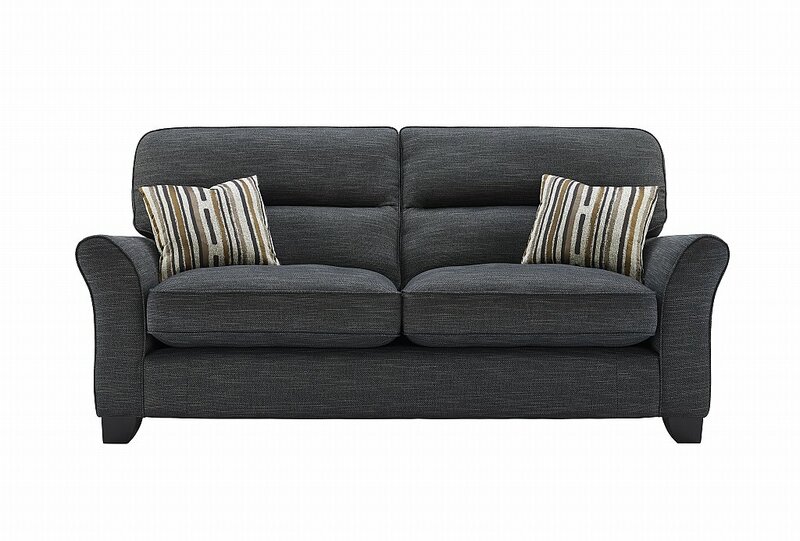 I would like more information about Gemma 3 Seater Sofa by G Plan Upholstery.